My review: I believe that as we age, we tend to pay more attention to that little voice inside our head. When you think about it, the concept of "intuition" is really amazing. Main character Maggie Robin finds this out too. Maggie, 22, has graduated college and an acceptance packet from Yale Law school sits on a desk inside her house, awaiting her reply. Only Maggie has discovered she doesn't want a career in law--her true passion is photography, something her parents (especially her mother) regards as a "hobby." But for Maggie, it is truly something else. Her fiance, Jeffrey, is like her mother and doesn't embrace her desire to chase after her dream. It seems Maggie has let the forceful people in her life dictate and make decisions for her. So when she spots a skier in an orange vest skiing with such graceful fluidity and freedom while on her engagement trip with Jeffrey, she longs for that same freedom as she captures him in digitized photos. On this trip Maggie finally sees she has to be in charge of her life if she is to be truly happy in both career and love. When she meets local skiing celebrity Taylor, an instant chemistry is shared between the two, despite her betrothed being there, working to film a documentary on Taylor. 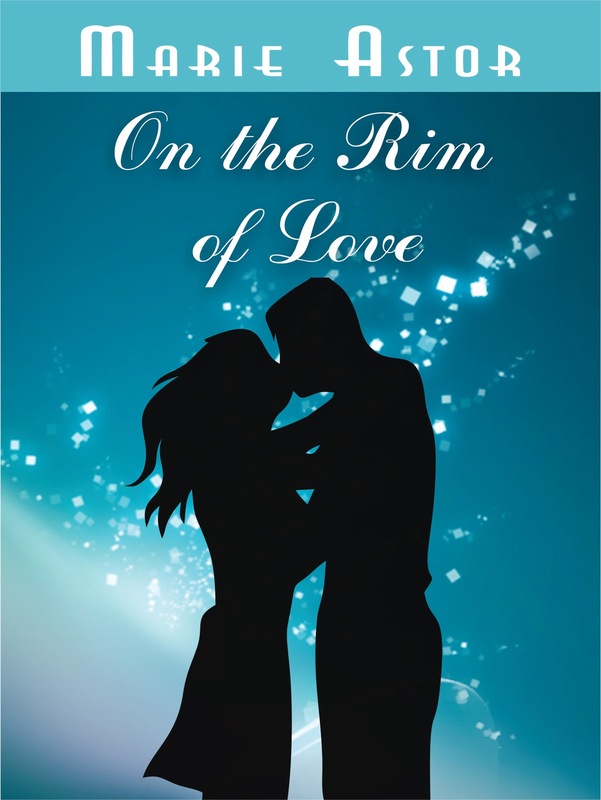 On The Rim Of Love was a sweet, fast paced romance. Maggie was instantly likable and relatable. Sometimes the shy ones have to voice themselves loudly in order for the boisterous to hear. Maggie realizes that Jeffrey is not the man for her--playboys don't change over night no matter what they promise. And when she's photographing, she's in her element, so why not pursue something she has a natural flair for? Taylor instantly recognizes her talent and supports her even though they've just met. I liked his character as well, the laid back, easy going athlete, a dedicated and faithful young man who sees his soulmate in the pretty Maggie. Told in third person through the viewpoints of Maggie, Taylor, and Jeffrey, and later on from a couple of other secondary characters not really needed (they seemed tacked on), helped give perspective of each individual's place and motives. I did think some dialogue sounded a bit too formal and wordy in spots, and there were some occasions where long paragraphs of exposition did more telling than showing. Still, I read my way through the novel like a skiier advancing down a mountaintop. Towards the end I felt disjointed at times with Taylor's hospital scene (which I won't spoil), but it was still entertaining. The author peppered the story with lovely bursts of prose throughout, really capturing the essence of a snow town like Eagleville. As a true romance fan, I enjoyed On The Rim of Love and believe other fans will like it too. Favorite excerpt: "She met Taylor her life was in black and white, and now, her senses were flooded with the brightest of colors. It did not matter that she had only known Taylor for a mere handful of days - the powerful, sweeping sensation that took hold of her from her first encounter with him refused to subside, growing stronger with each day. But was it really possible to fall in love at first sight? A few days ago she would have laughed at the notion,and now, she was a firm believer." Cover comment: Not liking this cover at all. Something with snow capped mountains would have been nice. Book source: From the author for my honest opinion during a book tour. I had not heard of this book and it sounds really good. I would love to read it.